MOD Resources Ltd. (ASX/LSE: MOD) (“MOD” or “the Company”) is pleased to release its fourth quarter report for the period ended 31 December 2018. During the fourth quarter, the Company made substantial progress on the T3 Copper Project Feasibility Study, including submission of the draft Environmental and Social Impact Assessment to the Department of Environmental Affairs. Furthermore, the Company completed metallurgical and engineering test work programs required for the design of the process plant. Results identified opportunities to reduce operating costs through lower power consumption and lower reagent requirements. Exploration continued across selected priority drill targets, returning good grades and widths of copper mineralisation notably at the A4 Dome, only 8 kilometres from the T3 Copper Project. 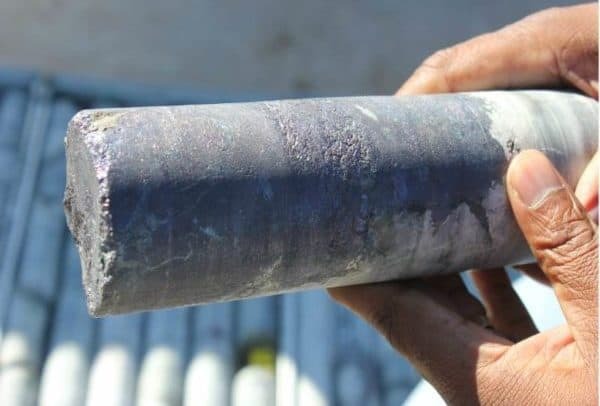 Initial drilling at the T23 Exploration Project area, 100 kilometres west of the T3 Copper Project was also successful in intersecting disseminated copper mineralisation at shallow depth, to be followed up during 2019. Subsequent to the end of the quarter, the Company announced a capital raising of $15 million through a combination of a share placement and a rights issue. The Company also received an unsolicited, non-binding, indicative, conditional proposal from Sandfire Resources NL (ASX: SFR) equivalent to $0.38 per share for 100% of MOD shares, which the Board believes undervalues MOD’s assets. During the fourth quarter, MOD was active at four key projects being the T3 Open Pit, T3 Underground, T3 Expansion Project and the T20 Exploration Project. · Progressed T3 Copper Project funding discussions and raised $15 million to support T3 activities. Additionally, during 2018, the Company completed a total of 148 drill holes, including 41 drilled during the fourth quarter across selected priority targets (Table 1).